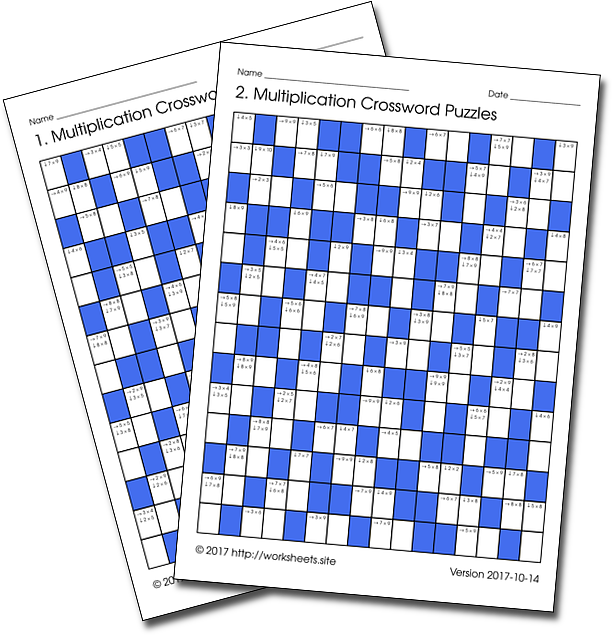 50 pages of printable crosswords of multiplication tables facts in PDF. 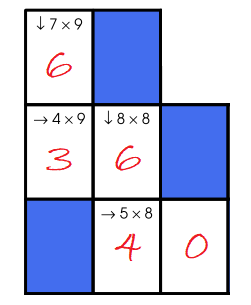 They are simple mathematical puzzles to practice and memorize multiplication tables. Times Tables crossword worksheets. Free Math Games. Just as with crossword puzzles in newspapers, students will be able to help themselves remember the values of multiplications using as clues other filled spaces. Also in the same way, they will be able to verify their answers and this feedback will help them gain confidence in the numbers they memorize. Each worksheet contains a large crossword puzzle with around 100 multiplications. 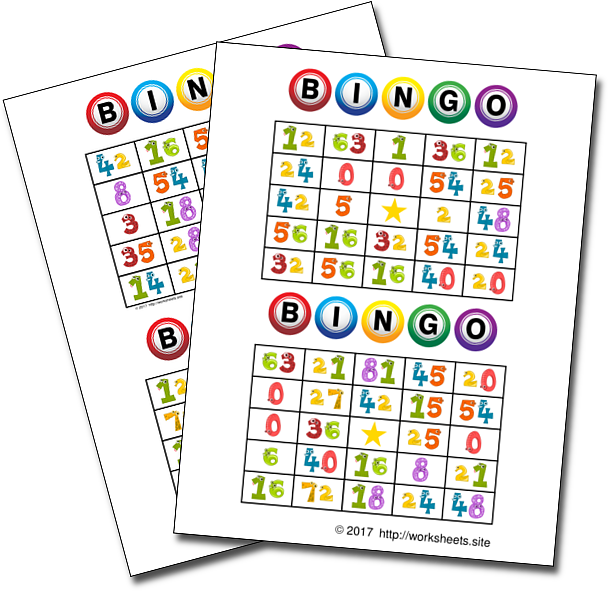 The printable PDF document contains 50 worksheets. Use the password worksheets.site to open the PDF file.